It was a good feeling to be back on the road again, heading to unknown places, and to be heading north. When we had decided to do this trip it was mainly because we wanted to see and spend quite a bit of time exploring northern WA, so finally after 14 months of travelling it was finally happening. 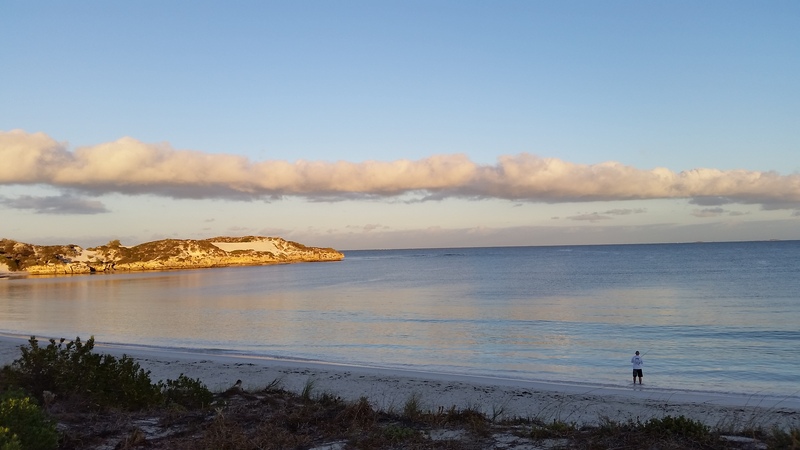 Our first stop was a camp just north of Jurien Bay called Sandy Cape Recreational Reserve. 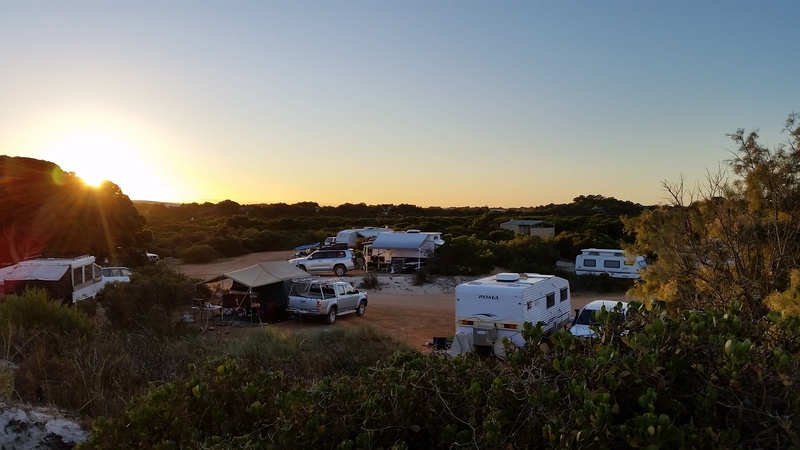 It was a camp right on the beach with drop toilets and had some great reviews according to Wikicamps and for only $15.00 a night it was great value and a great base to explore Jurien Bay and surrounds. As we arrived on a Wednesday morning it wasn’t too busy, but then by Thursday afternoon the cars and vans all started rolling in and by late Thursday evening the place was full. 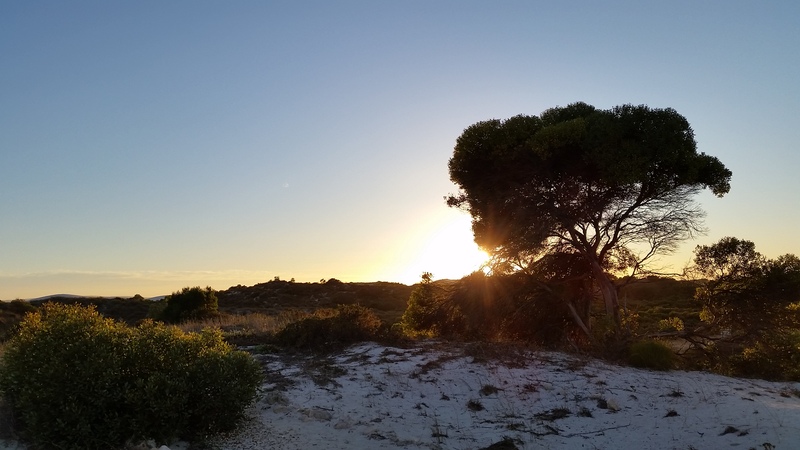 We were surprised and astounded at the volume of people who had come away camping, until someone mentioned that it was actually a long weekend. 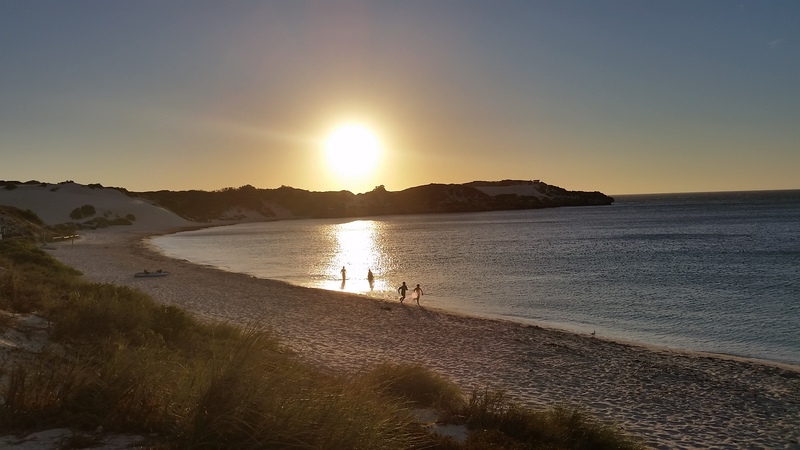 We then soon discovered that Jurien Bay is the northern suburbs weekend holiday of choice, just as Margaret River is the southern suburbs choice of getaway. Thankfully we had our little patch of sand where we couldn’t get to overtaken by other campers so we were still able to enjoy the place. Best time of the day, sunrise over Sandy Cape. The stunning beach at Sandy Cape. Nik having an early morning fish. 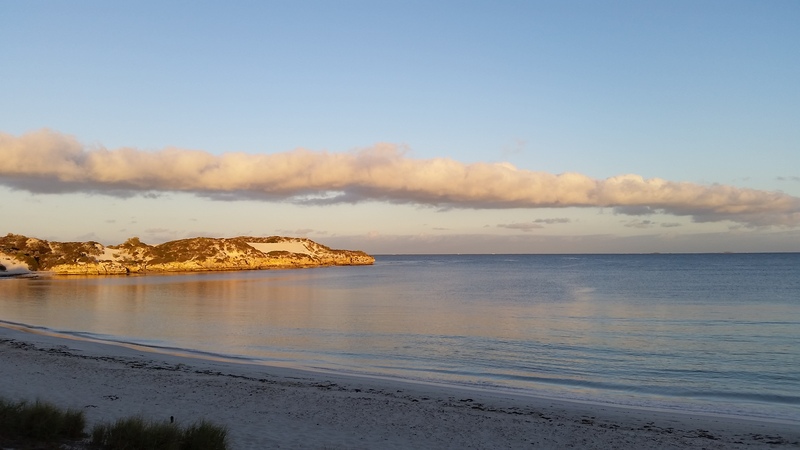 Sunrise over the beach at Sandy Cape. 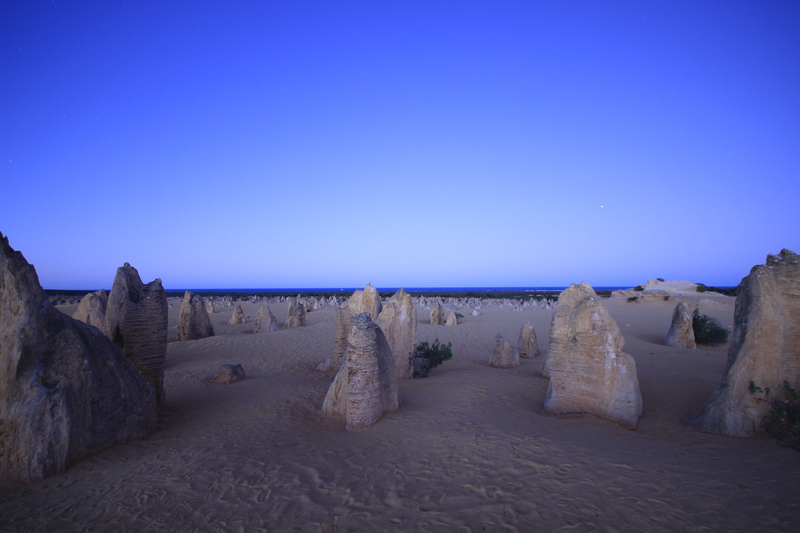 Our first exploration was the infamous Pinnacles, located within the Nambung National Park, about a 30km drive back south of Jurien Bay, over the years we had seen many photos of these, however we weren’t too sure what to expect and were surprised at the commercialism of the place and that you could actually drive around them in your car. 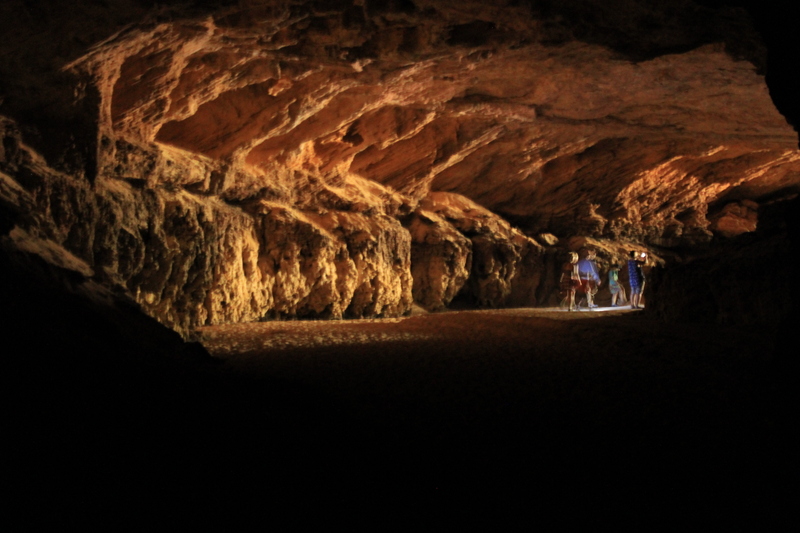 We were a bit taken aback as surely this couldn’t help with the perservation of this ancient place….. Anyway after we dodged the many hire cars and tourists, who just decided to stop in the middle of the track, we parked (out of the way) and had an explore on foot, taking photos and marvelling at the strange pillars that dotted the landscape within the national park, with some being more than 4 metres tall. Whilst here we also had a hunt around for a Geocache, however were unsuccessful, as there was lots of people around who thought us a bit strange looking through trees and bushes. After our drive around we also had a look in the information centre to try and understand a bit more about the strange ancient pillars. We spent a few hours here and really enjoyed ourselves, even though it was very busy and Nik also decided to get up early the next day and come back and take some sunrise photography and time lapse video, which were pretty awesome. 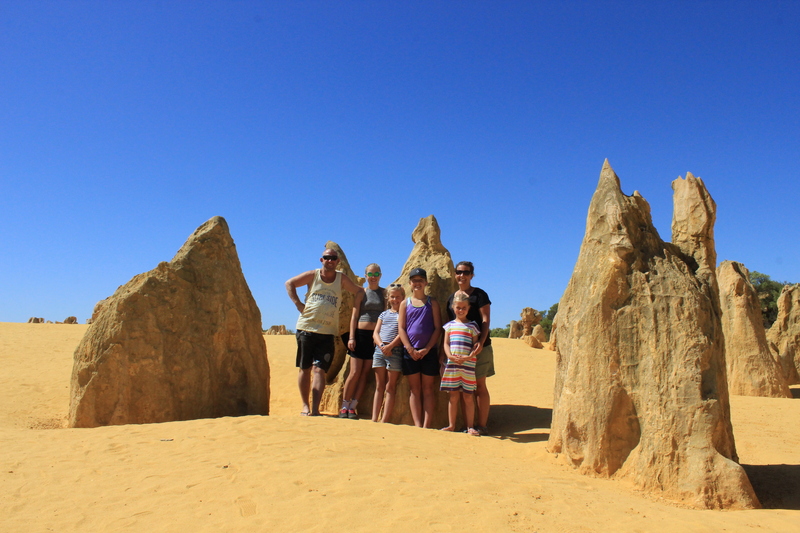 The Smiths at the Pinnacles. 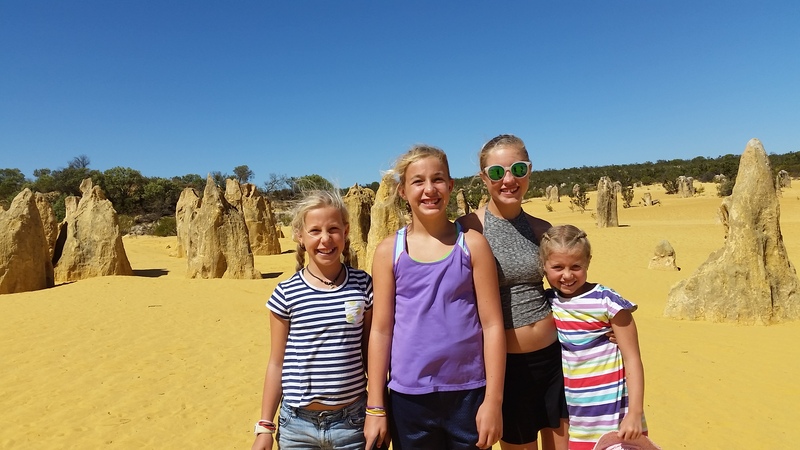 The girls at the Pinnacles. 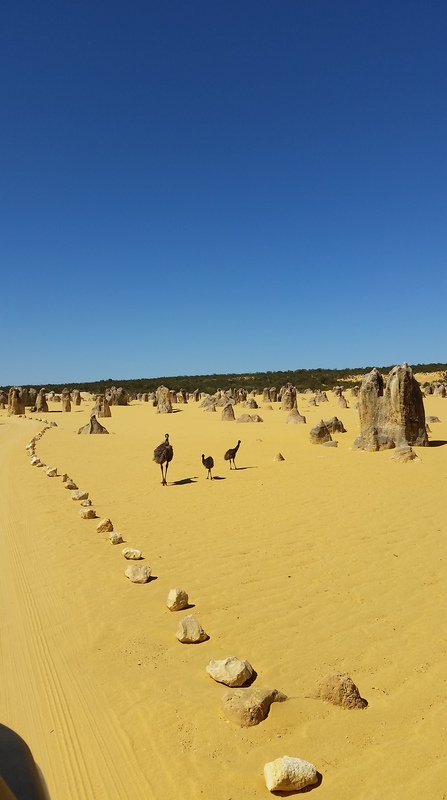 The locals at the Pinnacles. 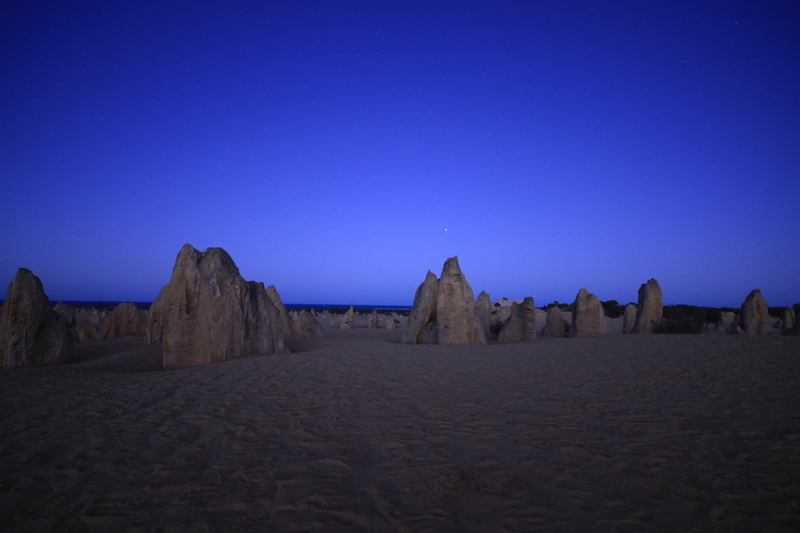 Early morning at the Pinnacles. 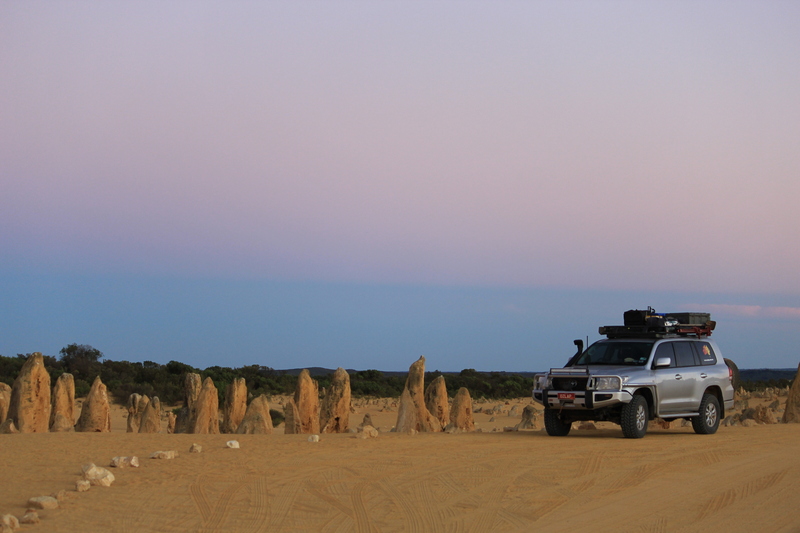 Silverfox at sunrise in the Pinnacles. The sun finally hitting the limestone pillars. 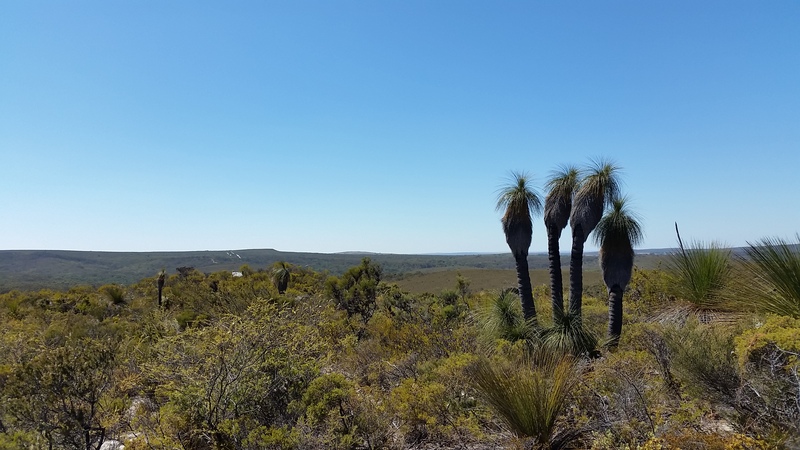 Another great national park we visited nearby was Lesueur National Park, named after Charles-Alexandre Lesueur, a natural history artist who sailed on board the ship, the Naturaliste back in 1801. The park is known for its abundance of flora and wildflowers, however as we were too early in the season we didn’t get to experience the park in all its glory. 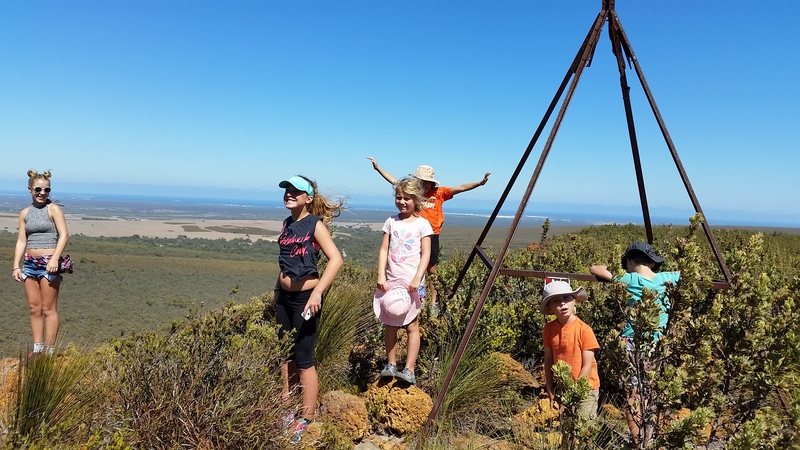 We still enjoyed reading about and seeing the abundance of flora on show during our 3km hike to the top of Mt Lesueur though, searching for the infamous Wedge Tail eagle but to no avail, perhaps we were too noisy!!! After our walk we contined the drive through the park, having morning tea at the Cockleshell Gully picnic area and finding 2 caches. 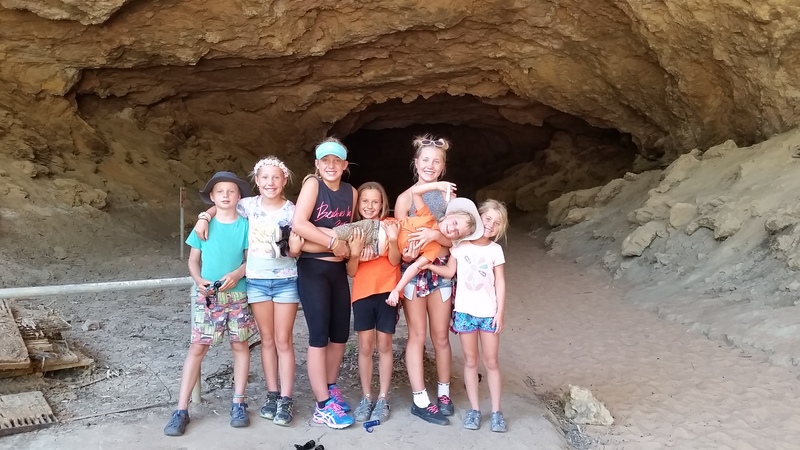 The Smeeds crew hiking Lesueur National Park. 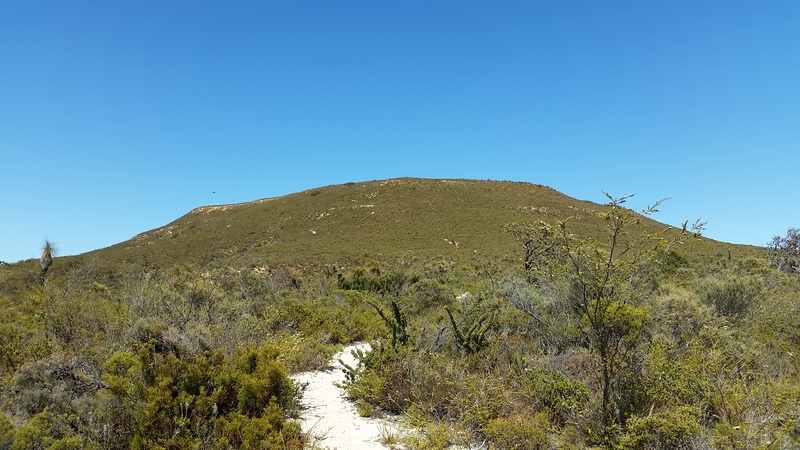 The start of our hike to Mt Lesueur. 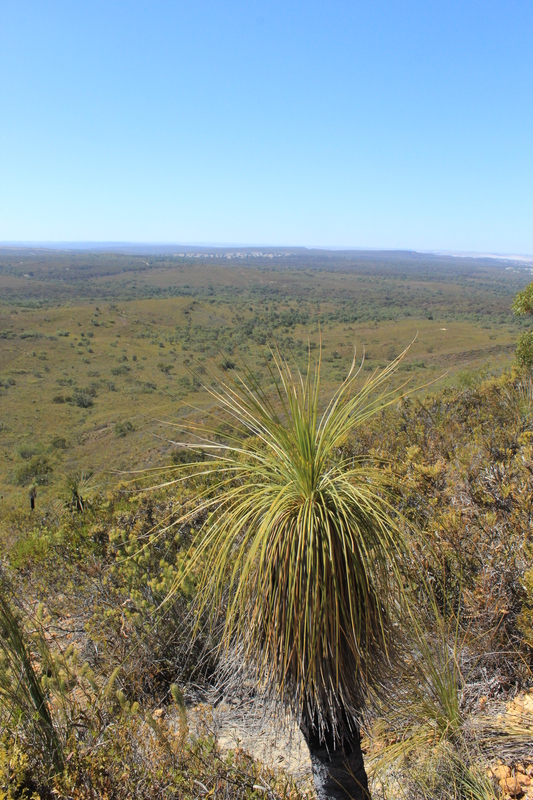 More grass trees on our hike. The summit of Mt Lesuer. 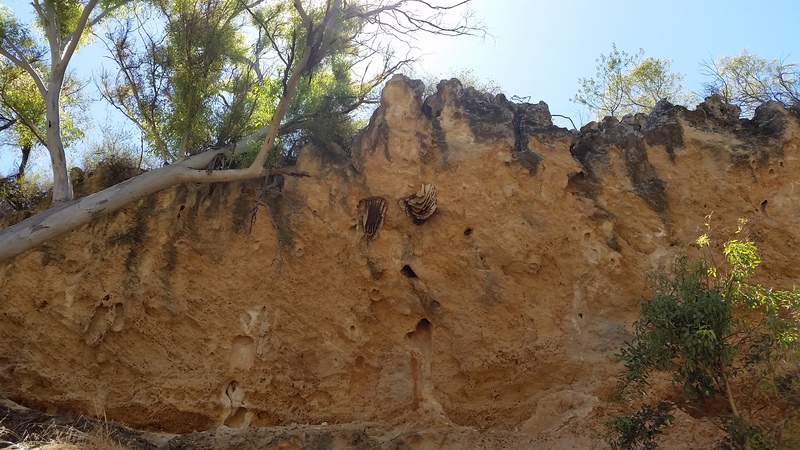 Stockyard Gully Conservation Park was our next destination for the day, in particular the Stockyard Gully Caves. 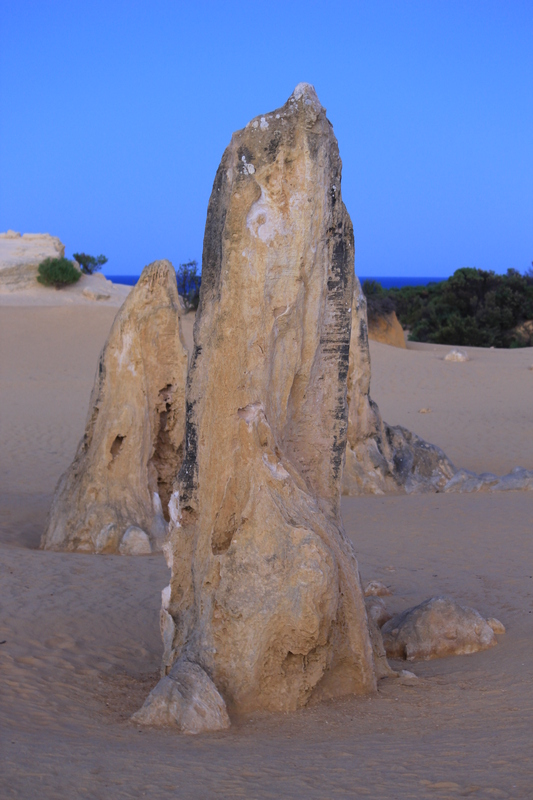 Stockyard Gully is located inland, north of Jurien Bay and Green Head and is only accessible by 4wd as the track in is quite sandy and rocky. 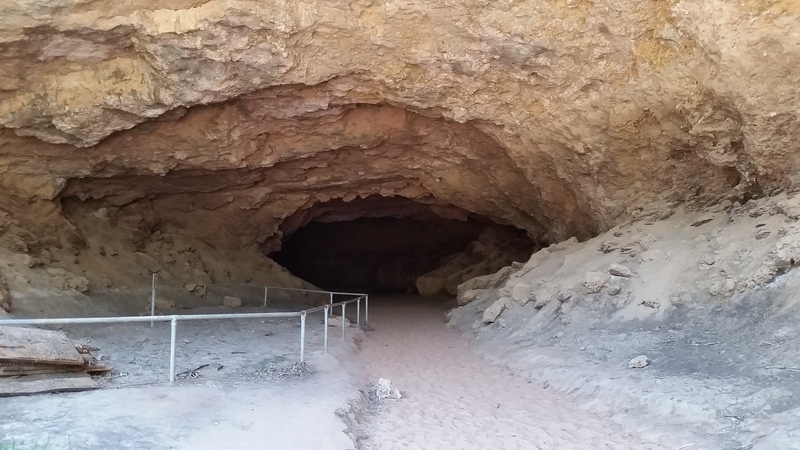 In the 1800’s stockmen used the cave and the creek bed as a natural stockyard and rest point, when droving their cattle from Geraldton to the areas of Midland and Guildford, hence the aptly named Stockyard Caves. 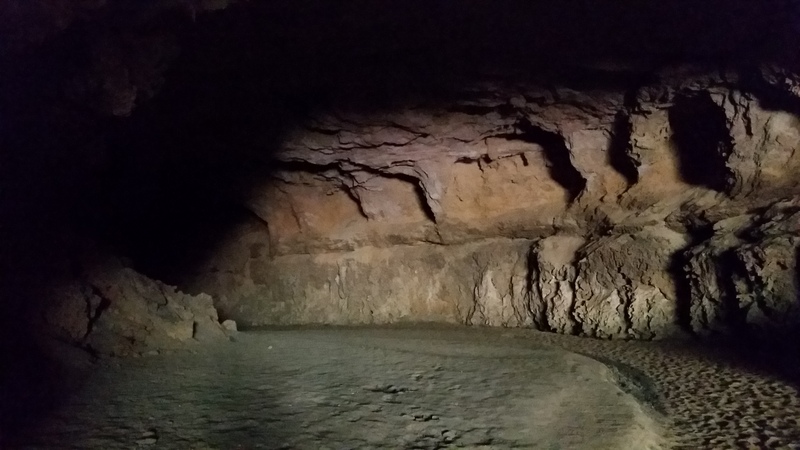 With the weather warming up we were looking forward to a short hike and then some relief within the cave. 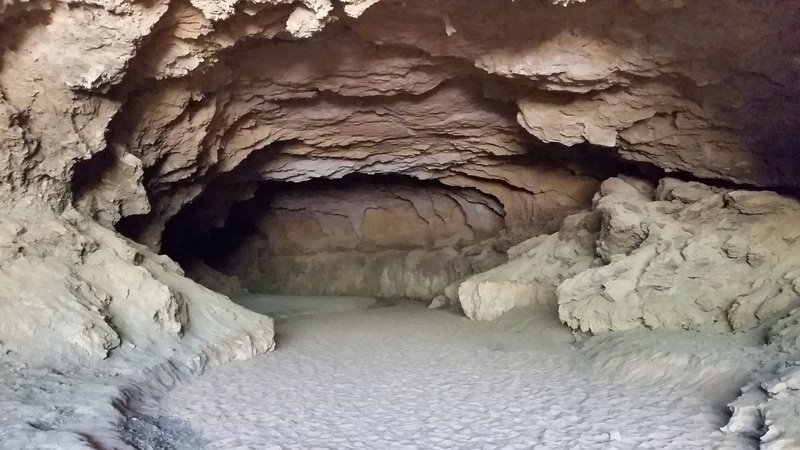 The cave itself is very large and is one of the few known places in Australia where quicksand is found during the wet weather. 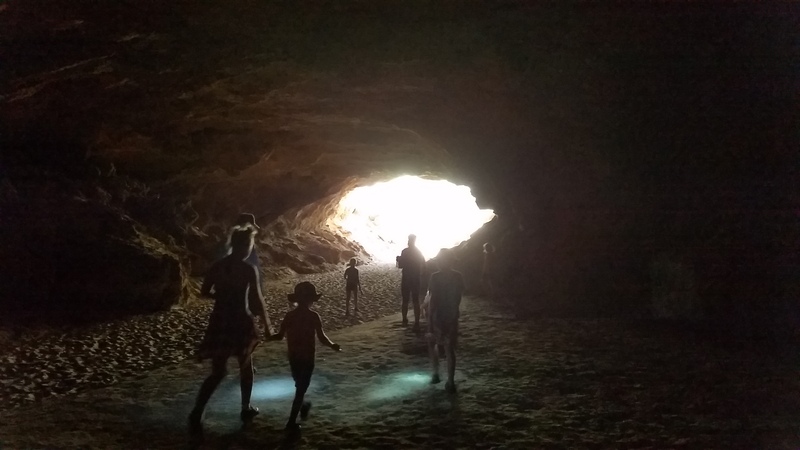 Thankfully we had no wet weather so didn’t need to worry about losing the kids in the quicksand, so armed with our torches and with the kids holding hands and forming a line across the cave we went exploring. The cave is about 200 metres long and not surprisingly pitch black when at the centre, we thankfully didn’t encounter any bats but were amazed at the enormous bee hives at either entrance, they were massive and you could certainly smell the honey when you got close, not too close though!!! The enormous sweet smelling bee hives. With torches and holding hands the kids took off in front of us. 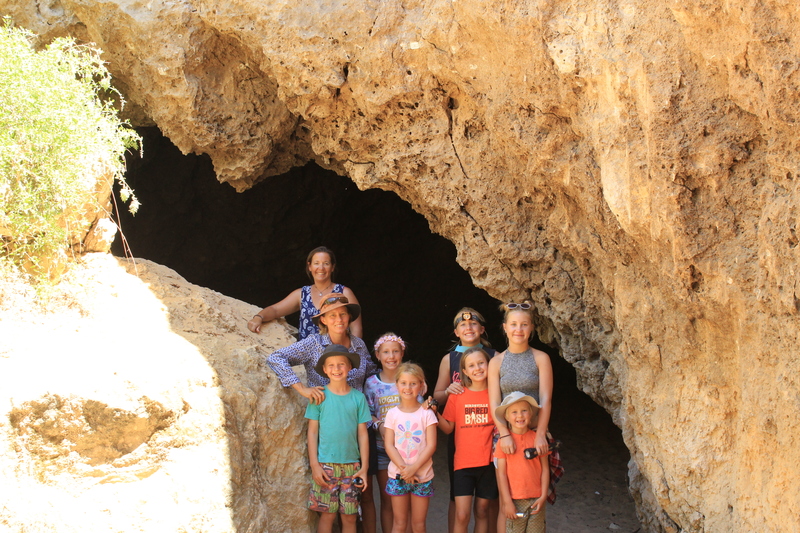 The kids heading out of the cave. Quicksand to the right behind the fencing. Getting ready to throw Cam into the quicksand. 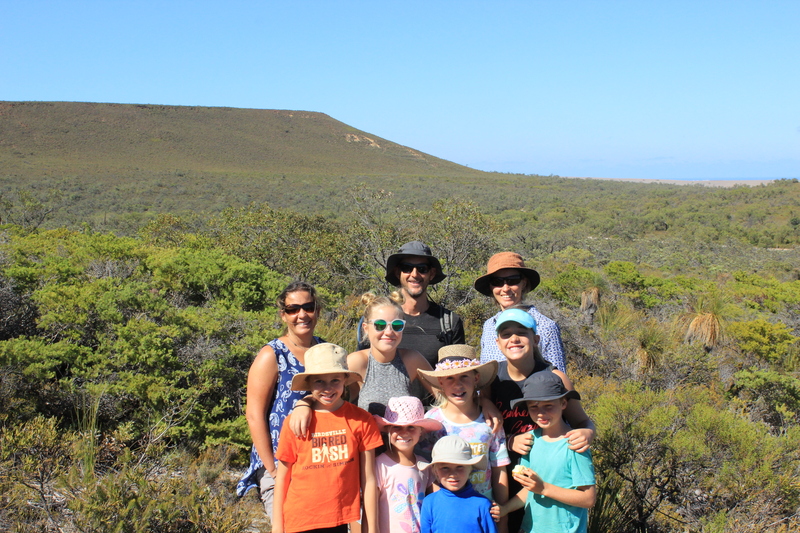 After our walk through the cave we set ourselves up at the picnic table for lunch before heading off back to camp, but not before calling into Green Head for a look around, a quick swim at the protected bay and some successful geocaching. Green Head is a small town consisting of a general store, petrol station and a cafe come accomodation come adventure centre, so there was not a lot too see, but the cafe made a decent coffee. 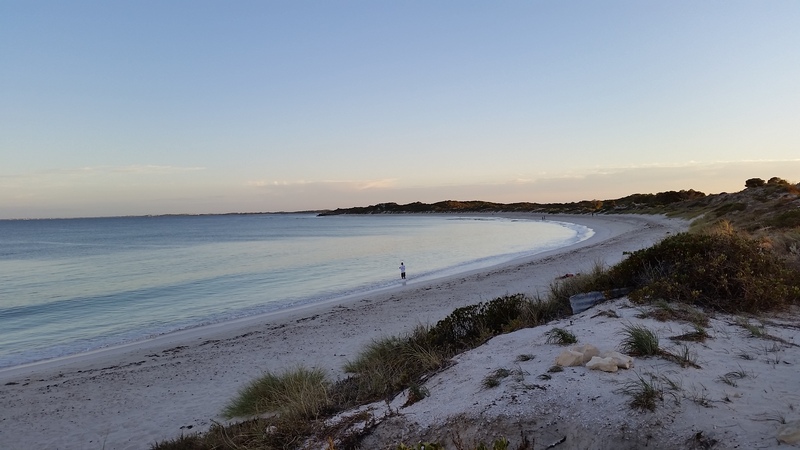 Whilst staying at Sandy Cape we also ventured into Jurien Bay on a number of occasions to pick up a few supplies and have lunch at the foreshore, as well as a swim at the beach and a fish off the jetty. On the Sunday morning we headed in quite early to have a wander around the weekly market, it wasn’t a huge market but the kids enjoyed the bubble lady while Nik and I enjoyed a coffee and speaking to the people at the Bonsai display stall, they had quite an impressive arrangement of Bonsai trees and were more than happy to answer our many questions on the subject. The kids having a twilight swim. Previous Previous post: Perth & surrounds, WA. 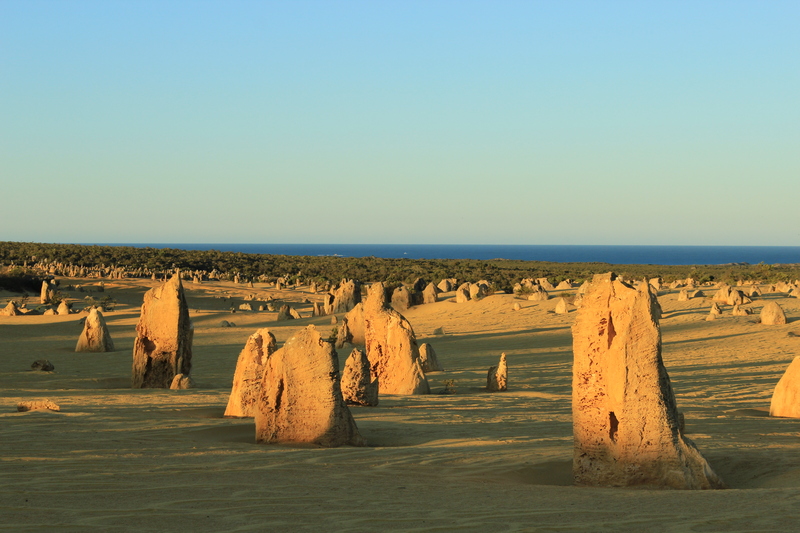 Next Next post: Geraldton & Coronation Beach, WA.